While volunteering and working with autistic children, Lisa Fraser noticed one of the key therapeutic devices of the day was, in her eyes, really ugly. 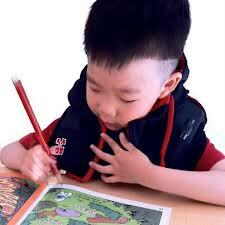 The weighted vests was like slapping a label on kids and saying "Hey, look at me! I'm different." She believed that bringing a better design and even some style into these kids' lives, was an endeavour worth pursuing. While volunteering and working with autistic children, Lisa Fraser noticed one of the key therapeutic devices of the day was, in her eyes, really ugly. She felt the design of the weighted vests was like slapping a label on kids and saying "Hey, look at me! I'm different." She believed that bringing a better design to deep pressure therapy, and even some style into these kids' lives, was an endeavour worth pouring her talents and heart into. Clinical studies have shown that pressure applied to the body has a calming and relaxing effect on people with sensory and anxiety disorders such as autism, attention deficit hyperactivity disorder, post-traumatic stress disorder. After developing a therapy product using proprietary technology as her thesis, Fraser founded Squeezease Therapy in Vancouver in 2010. She readily admits its been a learning process of countless business lessons. 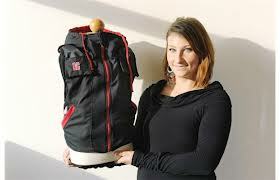 Her company, designs, manufactures, and sells the Snug Vest, an inflatable vest that places pressure on the torso to provide the feeling of a firm hug or swaddle. It can help to relieve anxiety, increase focus and attention, and reduce destructive behaviours such as tantrums. One mother says that for her 5-year-old autistic son "pressure is a necessity in the same sense that oxygen and water are needs." The Snug Vest has won multiple international product awards including the Red Dot Award, and Autism Speaks Community Award, given by the largest autism advocacy organization in the world. The vest inflates using a small hand pump so the pressure is adjustable to meet the user's needs and provide independence. It's considered the safest product available as it does not place any pressure on the stomach or chest. Researchers at the University of Victoria in the psychology department conducted a clinical study with the Snug Vest, taking physiological and behavioural measures. The results showed a significant decrease in cortisol levels (an indicator of stress) during and after the children used the Snug Vest. Fraser has successfully combined the therapeutic requirements needs to make a difference, but she's also added a key design element too — a stylish looking vest that doesn't scream "I'm different." If you're a parent of a child with autism in B.C. and interested in getting a Snug Vest, it's covered by the Autism Funding Program through the Ministry of Children and Family Development.